(R)=Rare--These cards have the name of the Cards are in Silver Writing. (SR)=Super Rare--These cards are Holos but the name of the card is like the ones on the Common and Uncommon Cards. 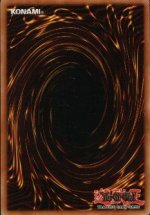 (UR)=Ultra Rare--The Name of the cards are in Gold Letters and The pictures are Holo. (SCR)=Sparkly type of Holo and the name of the card is in a Hologram like Letters.